Artemisia Gentileschi, Lucretia (around 1630s-40s). Old Master Paintings at Dorotheum, Vienna, 23 October. Estimate €500,000-€700,000. 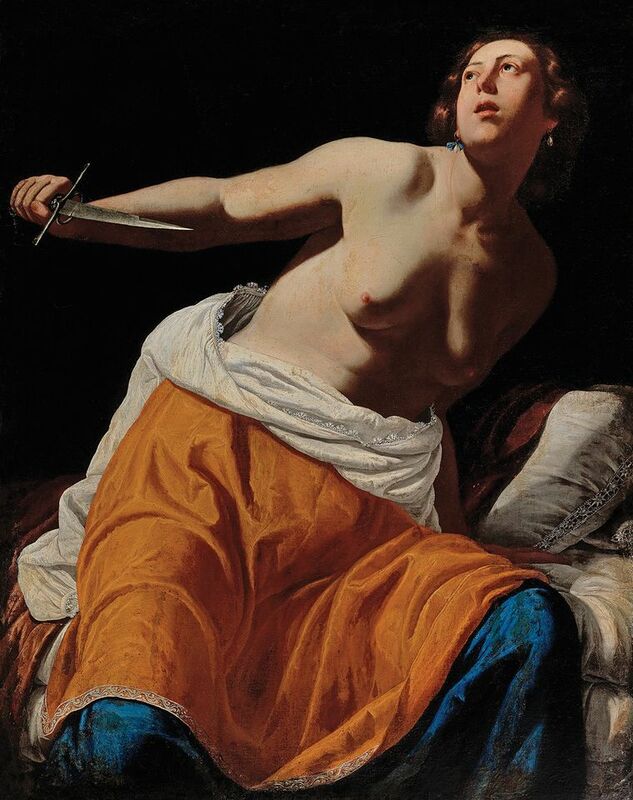 Never before publicly exhibited, this painting by Artemisia Gentileschi (1593-1654) comes to auction for the first time, consigned from a private European collection. Gentileschi was one of the very few female Italian Baroque painters and her often violent depictions of strong female protagonists from classical mythology have led her to become an Old Master poster girl for the #MeToo era. In July, London’s National Gallery bought Gentileschi’s Self-Portrait as Saint Catherine of Alexandria (around 1615-17) for £3.6m from the London-based dealer Robilant + Voena. The estimate is, says Mark MacDonnell of Dorotheum, “very prudent, but not reflective of its commercial value which we expect to be much higher”. Octovien de Saint-Gelais, Epistres d’Ovide (around 1493). Dr Jörn Günther Rare Books at Tefaf New York, 28-30 October. €1.2m. Photo: courtesy of Dr Jörn Günther Rare Books. 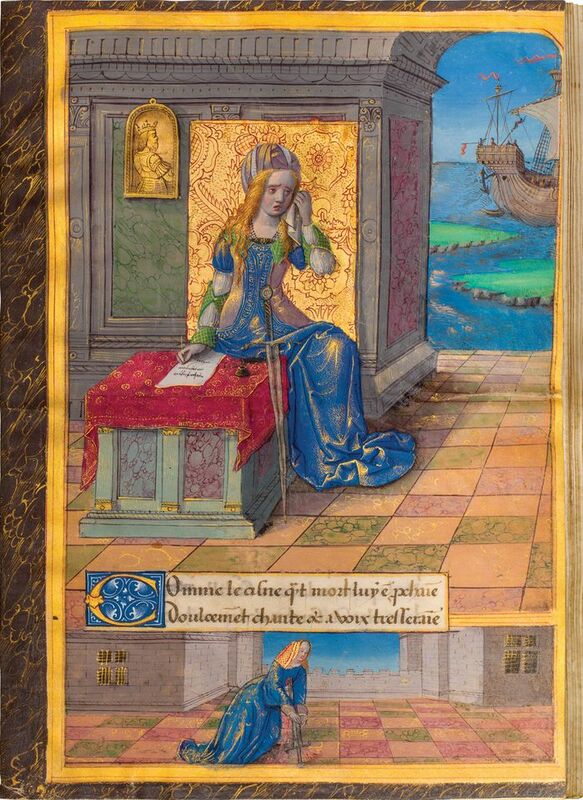 This collection of Ovid’s Heroides, translated into French for a teenaged Anne of Brittany, queen consort of France, includes the epic tales of Ariadne, Dido and Oenone written from their perspectives as women suffering cruel fates wrought by greedy men. Anne, too, was despairing of her destiny after being forced to marry Charles VIII in order to secure the annexation of Brittany, which inspired Saint-Gelais to create this singular compilation, including eight full-page illuminations by the Master of the Chronique scandaleuse, one of which portrays Anne surrounded by her ladies in waiting. After passing privately through the hands of renowned medievalist collectors like Charles Stein and Comte Albert de Naurois, the manuscript makes its market debut at Tefaf New York. Ettore Sottsass, suspended light made for Arredoluce (around 1957). The Vocabulary of Ettore Sottsass at Artcurial, Paris, 23 October. Estimate €50,000-€60,000. Every year during the Paris fair Fiac, Artcurial holds a themed Modern design sale and this year the subject is the Italian designer Ettore Sottsass, a leading member of the Memphis group. Sottsass partnered with the lighting manufacturers Arredoluce in the mid-1950s and “designed pieces with a ‘space conquest’ look, introducing bright colours and materials like aluminum and Perspex when ceiling lamps were mainly made from brass and crystal”, says Emmanuel Berard, Artcurial’s associate director and head of design. The collaboration ended in the mid-1960s—these pieces were “too avant-garde for the commercial market, but have since become legendary”, Berard says. 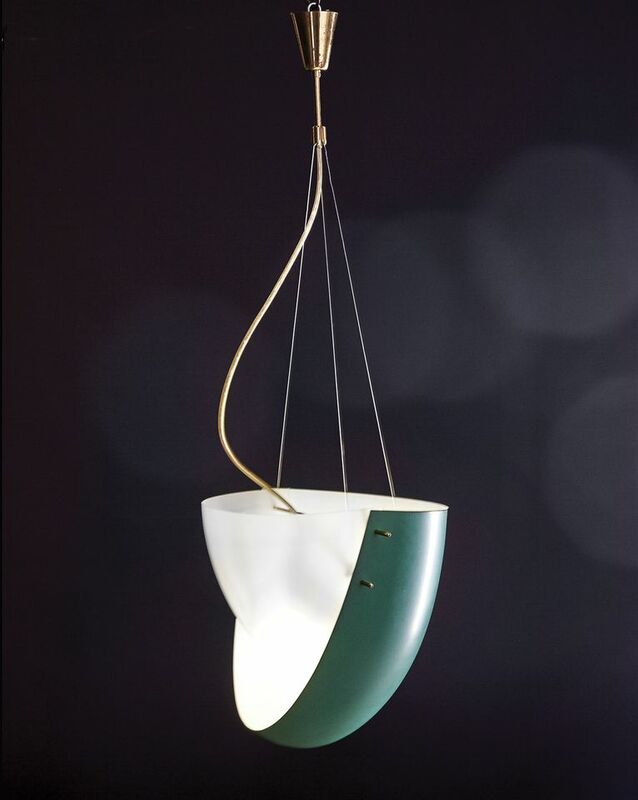 Artcurial sold another edition of this ceiling light in 2015 for €74,000.